Every Tender Reed is a transitional book in which Helen Losse writes poems about her difficult but long-awaited conversion from life as a protestant Christian to that of a Roman Catholic with its unfamiliar sacraments and customs. Mental understanding came quickly, but emotional surety caused troubles that might have been harder still, if not for the loving kindness of two special priests. 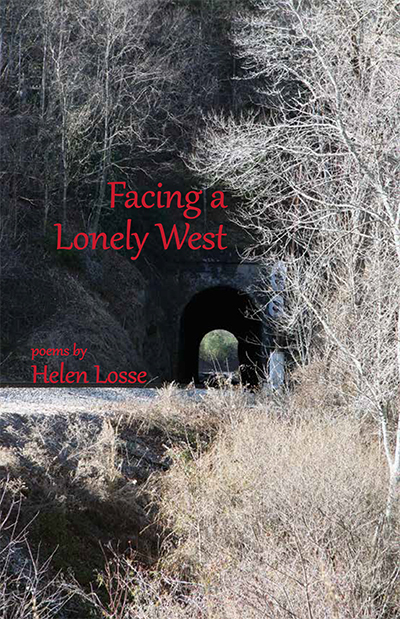 Facing a Lonely West is a book of poetry that explores many kinds of human loss. The death of the poet’s mother and the grief that followed offer narrative for several poems. Others deal with job loss, loss of intimacy—sexual and communal—miscarriage, loneliness, and drowning. The poems reflect on the past and lead through a dark tunnel to an unknown future without a syrupy conclusion that no one can quite believe. Of course it all begins in innocence. A child’s fascination with her own ability to twirl a washcloth over water, a sense of power from mastering the climbing of a mulberry tree, images of life before the storm. Even that early, though, one can’t help but feel the ominous presence of power looming in things, power that enchants and moves, but also endangers, and sometimes destroys. —Scott Owens, author of Something Knows the Moment and other collections. Helen Losse’s unique talent explores the most important elements of life’s journey. When I read her poems and connect spiritually with her vision, it gives me a deeper understanding and appreciation of what it means to be here, in the present day, with a look back at what created our current reality. Gifted poets help us paint emotional passageways that enable us to create our own personal roadmaps through the twists and turns of our universal experiences. In Seriously Dangerous, a violent undercurrent lurks—always ready to strike—beneath nature’s raw, God-fearing beauty. Or is it the other way around? Maybe beauty truly is the truth that awaits us and will come forth when we least expect it. Maybe hope is hiding behind our dark, violent culture. Maybe a stern warning will change us this time. Our past and our present are seriously dangerous. We must face this fact, if we want to become whole. 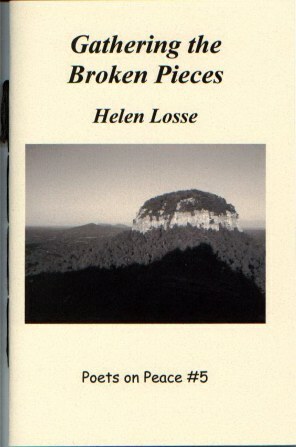 In Seriously Dangerous, as in her other work, Helen Losse shuns the commercial world in favor of the natural one and remains stunningly true to herself and her spiritual vision. As she notes in her seminal poem, “Where Light is Going,” “It would be easier to speak as others believe,/not to feel the ocean’s intentions nor to sense/the pull of the moon.” And indeed, the success of Seriously Dangerous is contingent upon Losse’s refusal to accept that easy path. 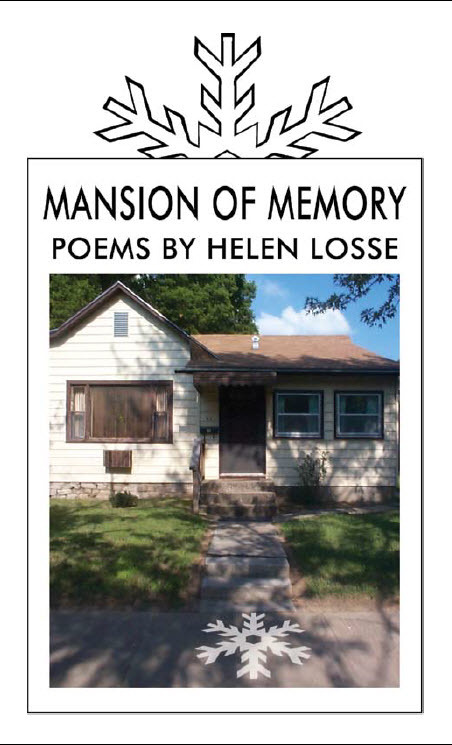 In her latest book, Seriously Dangerous, Helen Losse writes “watching a sunset becomes the home/to which I must return”. Her images embrace close observations of both the natural world and of human nature, of love and of losses. These are poems that examine observations to reveal truths otherwise unseen. Losse returns again and again to times when one feels at home in the world and to the times when one doesn’t. A reader will no doubt find poems like I did to return to again and again. With the keen observations of a naturalist and the reflective probing of a theologian, Losse’s poems unearth epiphanies from ordinary life. Seeing Queen Anne’s Lace or a Dried-Up River Bed become occasions for spiritual renewal and revelatory wonder. Losse invites her readers on a soul’s journey from mountain peaks to valleys. Her collection Seriously Dangerous is like the liturgical dancer that holds the candle, and whose performance rises like incense. Losse’s poems dance and sing the spirit alive. All copies will be signed. Better With Friends is a book of poetry that explores the intersections of memory (factual and embellished), dreams (daydreams and night dreams), reverie, and prayer, so that all of one’s thoughts can be envisioned as prayer. 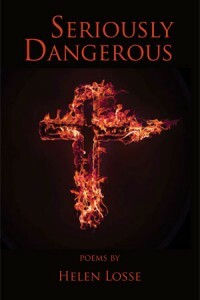 Although the book has strong spiritual overtones, it is not a religious book nor a book of poetic devotions. The events that serve as story in the poems make possible a life in which one can “pray without ceasing” (II Thessalonians 5:17) through the bad and the good. I moved like a poet—laboring—/under the weight of the burden of truth,” Helen Losse declares in the first poem from Better With Friends. A poet does indeed labor, but in a poem, what is the truth? Losse shows us the unrelenting details of decline and death,… but these details are not the only “truth”… in this collection. How does the spirit shine through the labors of time? How does [one’s] soul dance with the world given to us—family, friends, suffering, pleasure? Losse shows us how in these poems, rich as they are in the details that embody our lives. This is indeed the poet’s labor brought to fruition. Putting things right, in all the possible meanings of that phrase, is what these poems are about, making order of memory, loss and injustice, making restitution, reparation, describing with evocative precision the emotional details that make a life. Would that we all could move more like this poet. Was just looking at your chapbooks, and can get Gathering the Broken Pieces okay, but is paper snowflakes still available too? Sorry I’m so slow at catching up on your work! When I click on Southern Hum Press, it says account unavailable. Thanks for any advice you can give me on this! I sent you an e-mail, Deb.